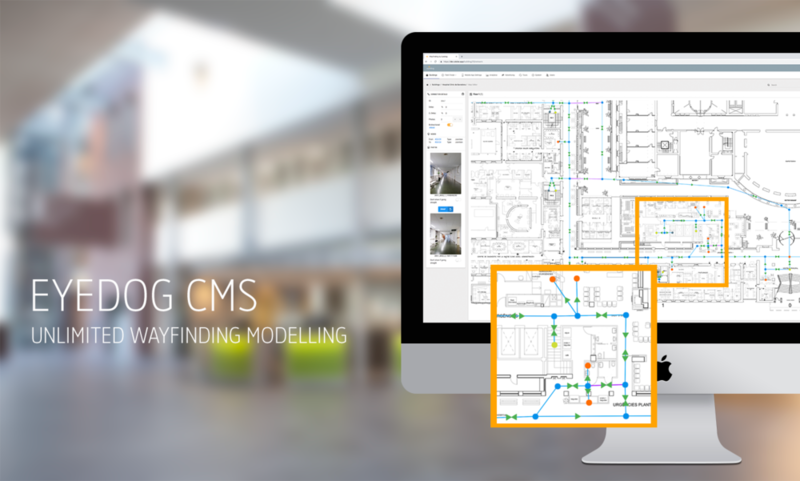 Closing corridors, elevators, staircases, adding time slots to building area’s; even adding new buildings, etc due to construction or maintenance is easy and can be done quickly by either the organisation or by Eyedog. All our clients have access to the Eyedog CMS to manage wayfinding data in their own building(s). Your staff will be trained to make changes quickly, like adjusting paths, create preferred paths, moving locations, taking new pictures, changing location names, etc. Mobile wayfinding supports personalised wayfinding like no other wayfinding design tool like signage will do. Organisations can add any lanuage library to their building and add destination names in any language. In case a language is not available, a new language library can be created in a simple and fast way. Buildings are modelled in the propriatory Eyedog MapEditor, which is integrated in Eyedog CMS. The wayfinding modelling capabilities of the Eyedog MapEditor are unique in the market. The Eyedog MapEditor can model any wayfinding situation regardless size of the building, the number of floors, interconnections with other buildings, number of POI’s, elevators, escalators, etc. But also preferred paths, special routes for physical impaired, multiple buildings on a campus, outdoor navigation, or rare situations like in-level elevators, building connectors connecting different floors, time slots, etc. All of these elements can be modelled. And, in the very rare case we are confronted with a wayfinding challenge that require changes to the mobile wayfinding modelling engine, we simply update our platform!